The world’s No1 Frank Sinatra, Stephen Triffitt, is coming to town to celebrate the golden anniversary of Ol’ Blue Eyes’ most famous recording – Sinatra Live at the Sands. 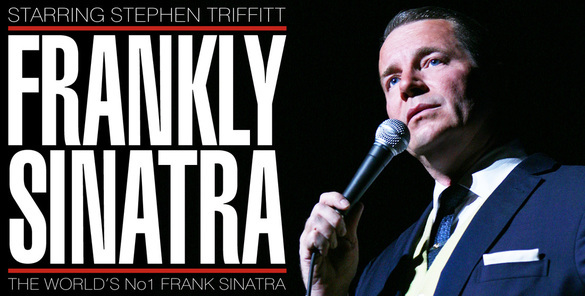 A brand-new production called Frankly Sinatra features many of the songs from the classic album, performed just the way they were back in 1966. Regarded as the definitive Sinatra live performance, the album was Frank’s first commercially-released live recording, packed with 22 tracks including many of his best-known hits. Frankly Sinatra’s producers say that authenticity can be assured: star of the show – Stephen Triffitt – has himself enjoyed three seasons at Las Vegas’ Sands Casino portraying Frank. 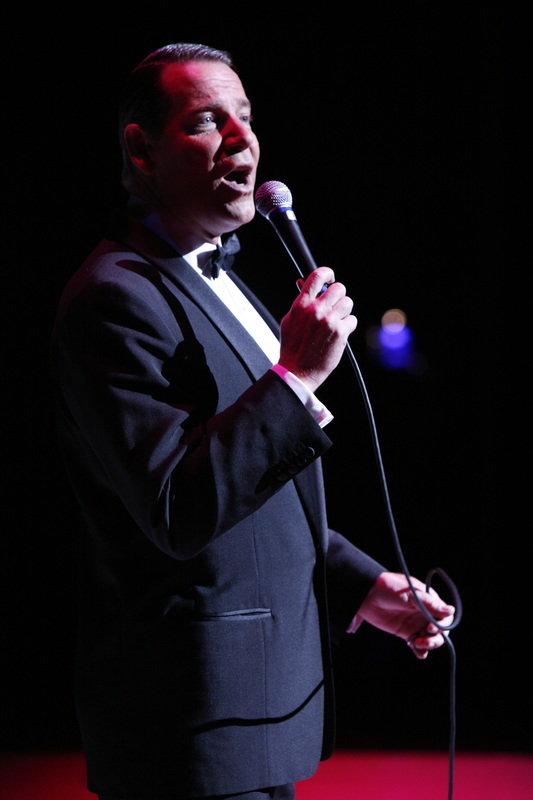 Featuring the swing, swagger and the velvet vocals of Frank Sinatra in concert, Stephen Triffitt is acclaimed worldwide as the master of his craft. He created the role of Ol’ Blue Eyes in the original West End production of The Rat Pack Live from Las Vegas that toured the USA, Canada and Europe. The lavish production is brought to the stage by Easy Theatres, the theatre show specialists responsible for hit touring stage productions like Magic of Motown, Thank You for the Music, An Evening of Burlesque and A Night of Dirty Dancing. The company’s MD, Michael Taylor, says Sinatra’s golden anniversary is to be celebrated in “swinging style” with a nationwide tour of brand-new stage show Frankly Sinatra in 2016. “There’s no better Sinatra,” says Michael. “Stephen Triffitt has sold out the London Palladium twice and the Royal Festival Hall with solo concert shows. The critics agree. The London Evening Standard describes Stephen’s resemblance to Sinatra as ”unsettlingly perfect”. With sculpted hair, twinkling blue eyes, and shiny black patent leather shoes, Stephen is famed for performing classic hits Fly Me to the Moon; Mack the Knife; New York, New York; My Way; That’s Life; Under My Skin; Lady is a Tramp; My Kind of Town; All the Way and Luck Be a Lady with all Frank’s laid back charm. Backed by the sound of big band swing, Frankly Sinatra brings the Chairman of the Board to town to celebrate the golden anniversary of Sinatra Live at the Sands with StephenTriffitt, described by the show’s creators as “frankly the best thing since Sinatra himself”.